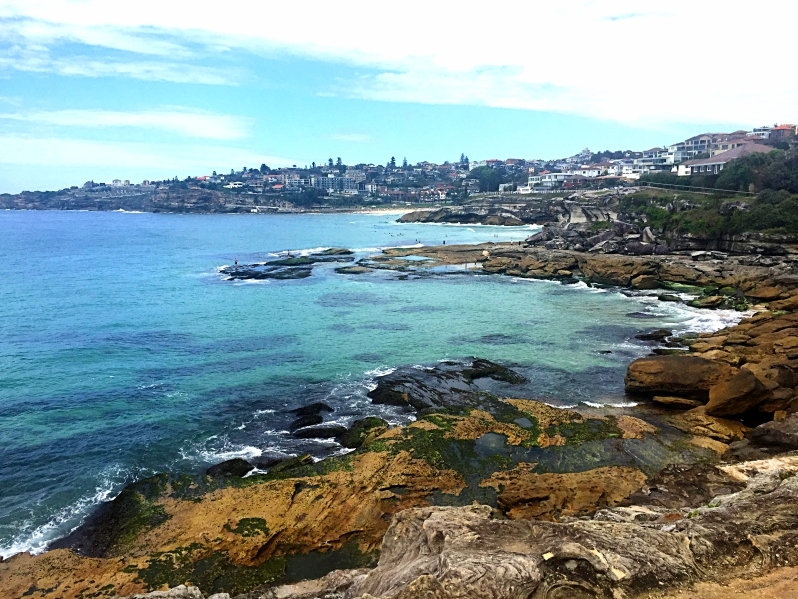 Bondi Beach Coastal Walk– Here you will experience one of the best short walks in Australia. Beaches, Cliffs, and people watching. Darling Harbor– I would suggest going here during the day. 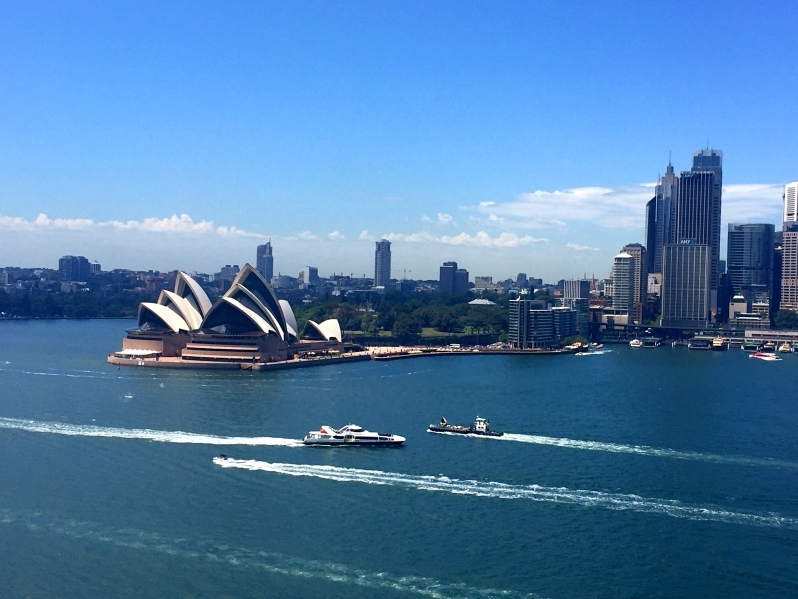 Great views of the city, places to eat, and some entertainment. Opera House/ Botanical Gardens– Get there about 1-2 hours prior to sunset. Park at the Sydney Hospital for the cheapest parking around. Walk through the botanical gardens to the opera house. Plan to grab some drinks and watch the sunset go down. Sydney Harbor Bridge– You can take the tour to the top of the bridge (cost about $200/person) where you strap in with a harness and walk up the arches of the bridge. Or the free option of driving across the bridge and parking in North Sydney near the bridge. Then walking across for some great pictures. Watsons bay– Here you will find great views from where all the big ships sail in from. There is about a 30 min walk along the cliffs to get some great pics of the city and the ocean. Beach Duty- Take a load off and enjoy the great beaches. If you want some good food while next to the beach hang out by Mereweather Surf House. 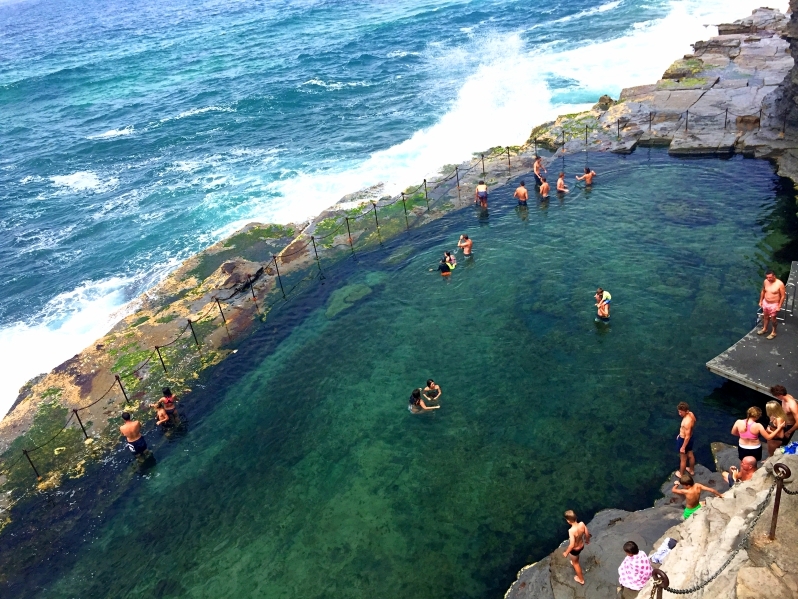 Bogey Hole– Bring your swim trunks, water shoes if you need them and hop in this natural beautiful pool right on the ocean. Blackbutt Reserve Wildlife Exhibit– Here you will explore a FREE zoo with some of Australia greatest animals the kangaroo, koala, wallaby, ostrich, and many more animals close up. 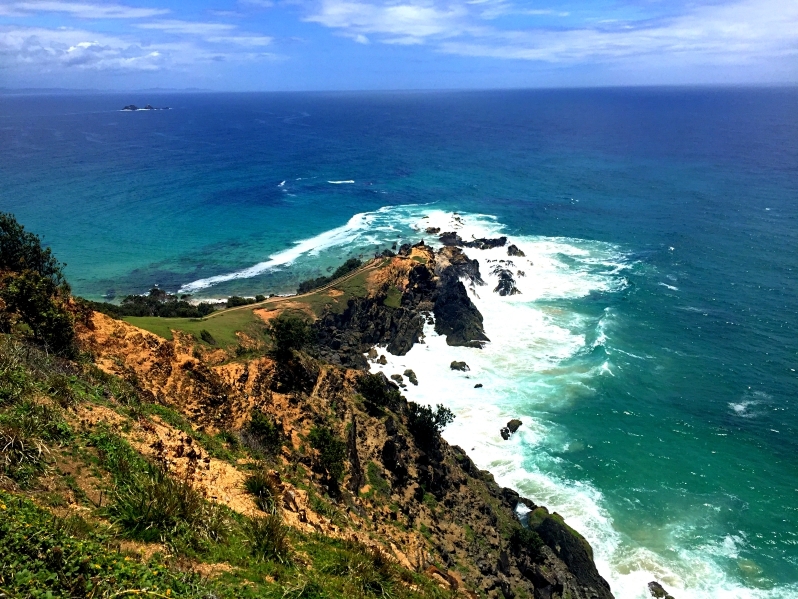 Cape Byron Lighthouse– Park down at Captain Cooks Lookout (sometimes free parking if you look long enough) Start the walking trail there up through the rainforest to the cape. Then back down through Watego. 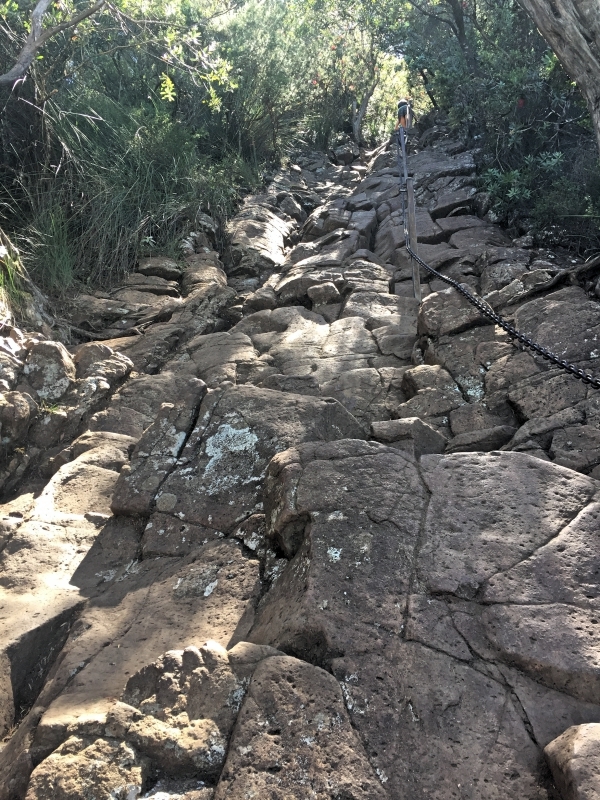 This will take you on a loop track of about 3.7 km or 2.3 miles. The Byron at Byron Resort & Spa– Park in their parking lot for free. Then walk around to the left of the lobby to the Rainforest Walk. 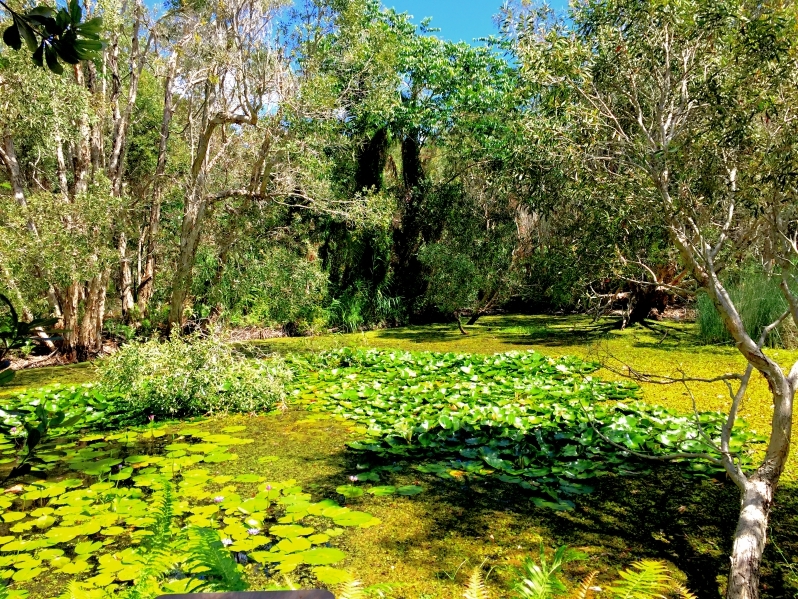 They have built a walkway over their lagoon and it has some great sights. Get lost in nature as you walk through this beautiful walkway. 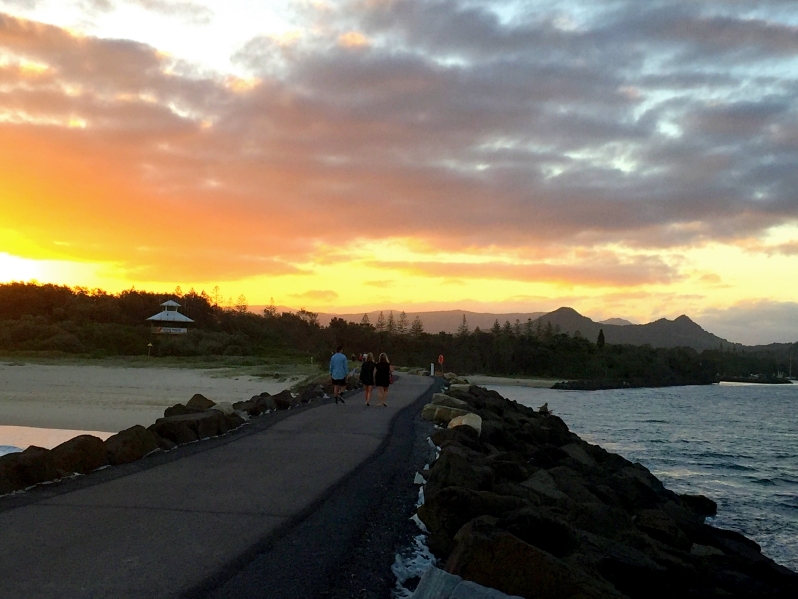 Beaches– Great beaches and plenty of people in this lively town. Hotel Brunswick – If you are there on a Sunday catch a great live performance at the Brunswick head hotel. Its free, has realatively inexpensive drinks and good food. Nightcap National Park– Minyon Falls lookout, Minyon falls walking trail, Protestor Falls, and much more. 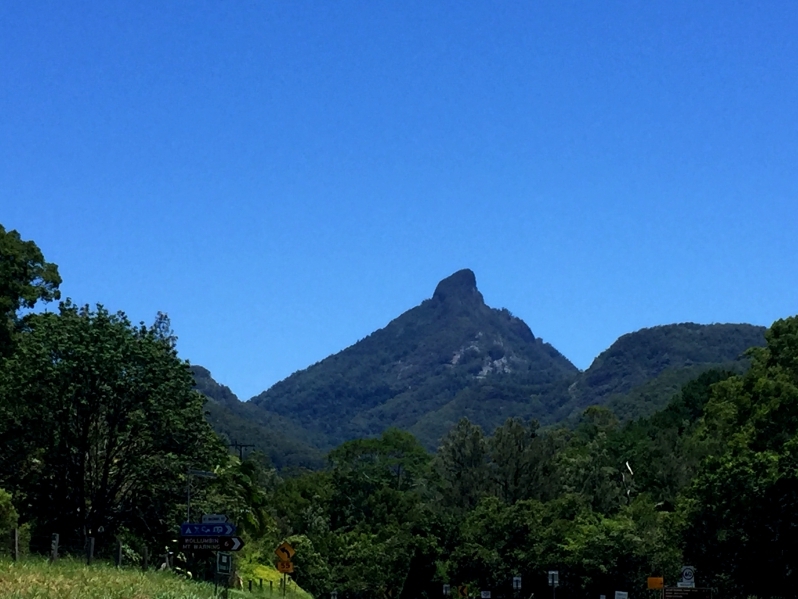 Nimbin– This town equals the hippest town in Australia. If looking for drugs or some cool hippie stuff this is your place. As you walk through the lush rainforest you arrive to the 360 platform at the top of the mountain for views that seem to stretch forever. Plan on the walk taking 5 hours. Suggestion would be to start in the morning when it’s a little cooler. Many people start very early to catch the sunrise at the top of the mountain. If you are doing that make sure you bring a flashlight! Warning: There is a rock scramble at the end. It’s not that intimidating once you’re on it but we recommend to be in medium physical shape. 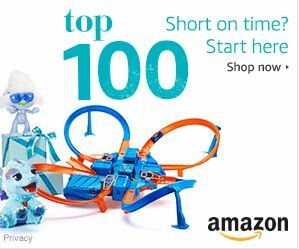 There is a chain that helps you up the steep parts. 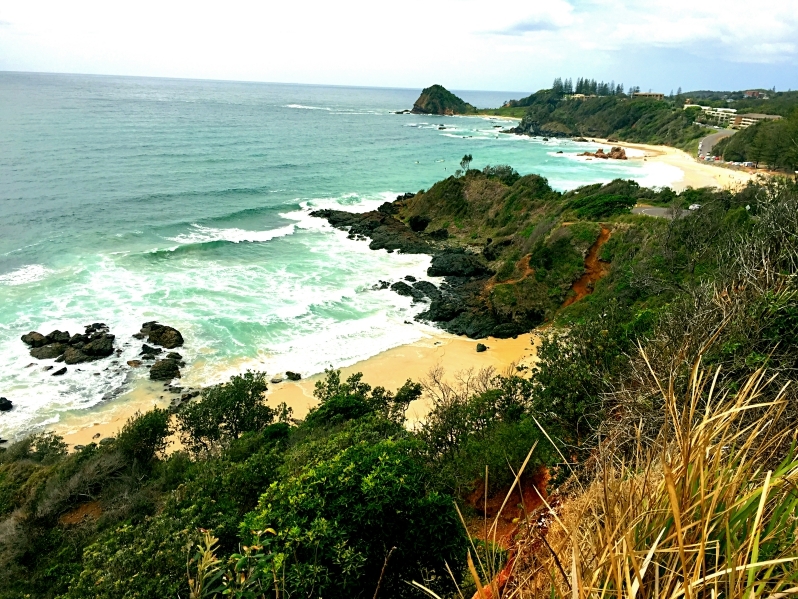 The best hike we went on in Australia. 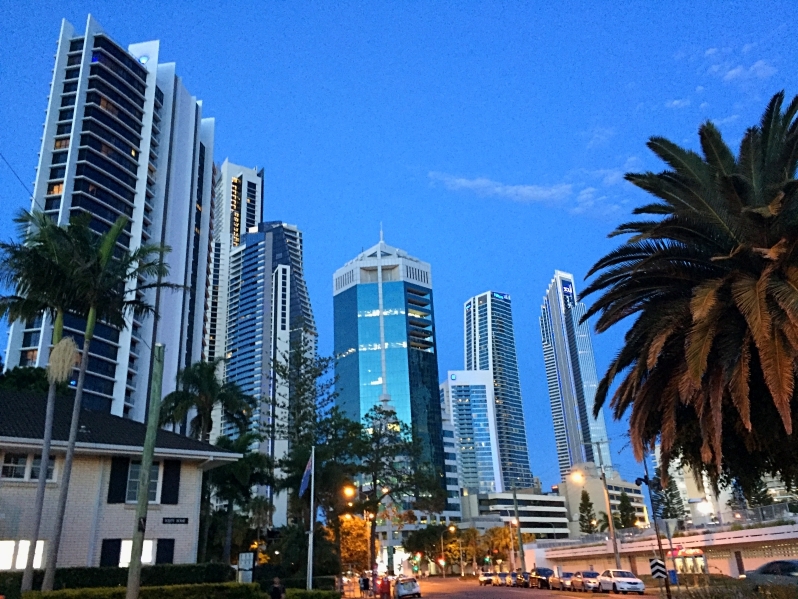 Surfers Paradise– Is the place to be, if you’re looking for the city/beach with everyone. This has your shopping, movie theatres, and great beach bods all over. Sea World– Has thrill rides, animals, and entertainment shows. 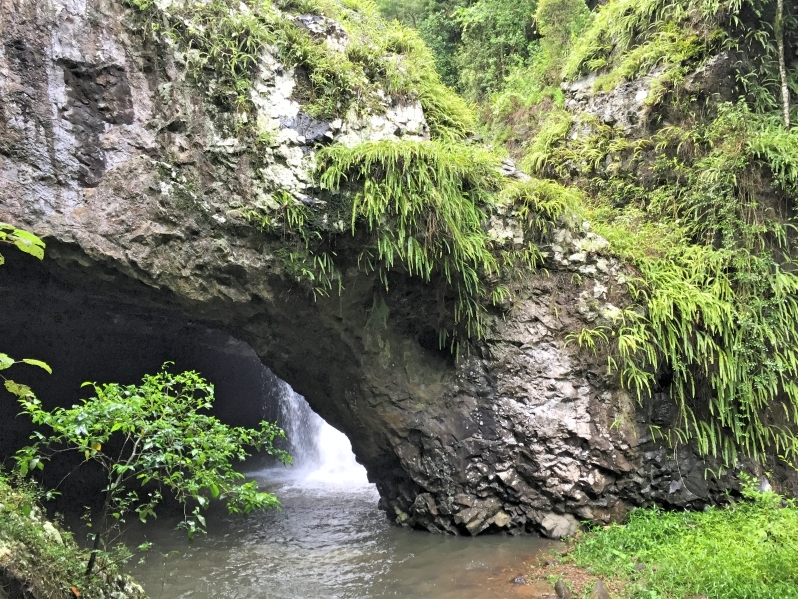 Natural Bridge– this is a waterfall that has sculpted out a natural bridge in the rocks. Added bonus of glow worms in cave if you go during sunset. 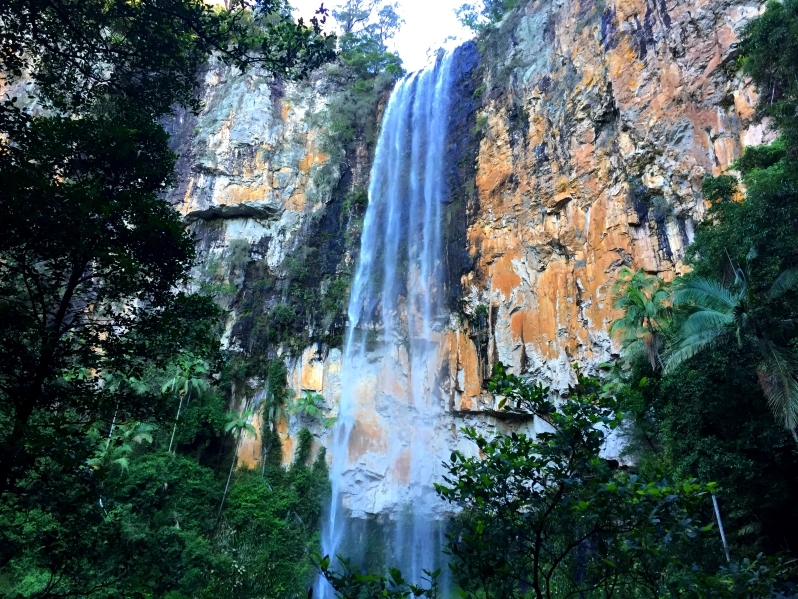 Springbrook National Park: Take the Purling Brook Falls loop track. If you’re in the mood to swim, take your trunks and towel and hop in down the stream at the pools. South Port Pier: Get some great pictures of the beach with the city in the background. Fishing: There is great fishing all over this place. You can hop on a boat or just fish in one of the lagoons around town. There are salt water fish all over and even bull sharks. 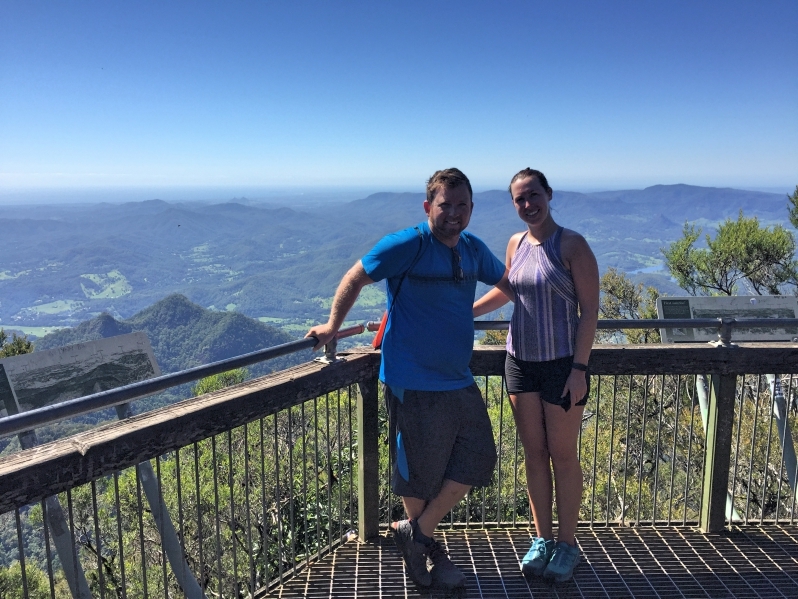 Tamborine– Head here in the morning to get some walks and great views. 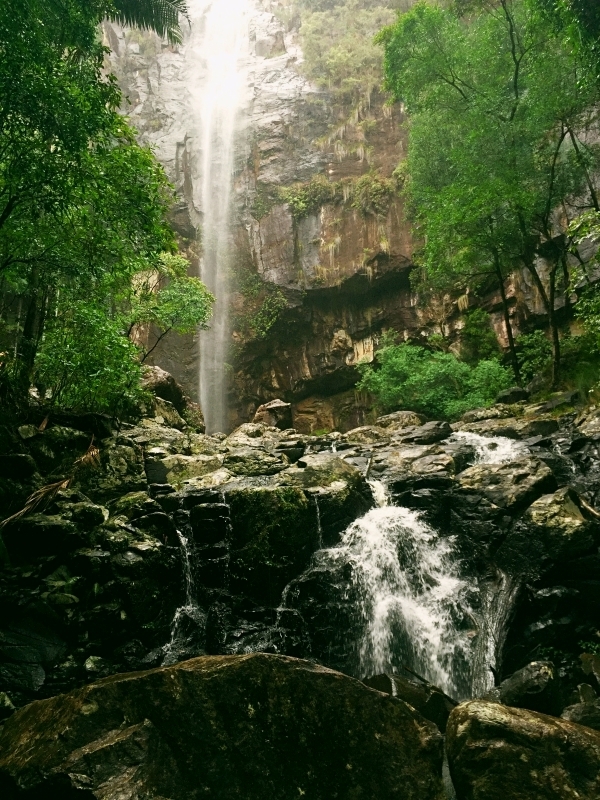 Cedar Creek Falls track– waterfall and only takes about 30 minutes. 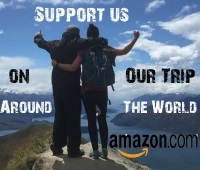 Rainforest Skywalk– this gives you an amazing view of the city but cost a few bucks. Sandy Creek/ Cameron Falls– 1 hour easy track out to waterfall. Ok views. Brisbane South Bank Parklands– I would take a stroll and grab something to eat here for some great views of Brisbane and to get a quick feel of what it has to give. 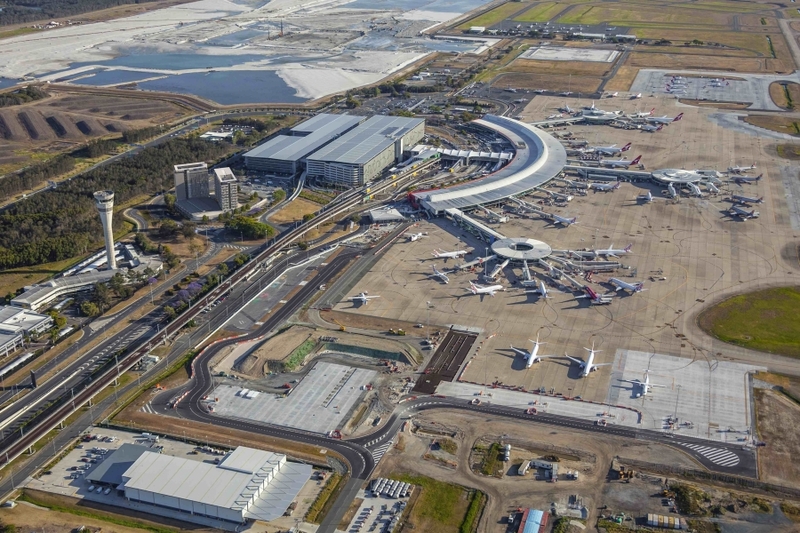 Brisbane Airport- Is very easy with a rental car. There are signs all the way in and it’s a direct walk to the terminal. Pretty small airport. You have to drive on the left side of the road. Gas is more expensive than you think. With windy roads and roads that you must double back, the miles add up.